Schiff achieves dramatic, sometimes haunting, effects with everyday objects, simple gestures, or found landscapes and interiors. Feeling less bound to objects as representations of self, the artist has stepped away from her earlier references to pop and youth culture. Schiff’s recent work is rooted in the tradition of photographers in the American West, such as Robert Adams, who ventured out into the landscape to look. Her prolonged engagement with specific locations and her precise sensitivity to the particularities of light yield quiet, almost mystical, revelations brimming with the residue of other lives. Schiff has said that she speaks not from an individual’s perspective about an individual experience, but more collectively about how people feel connected to certain spaces. 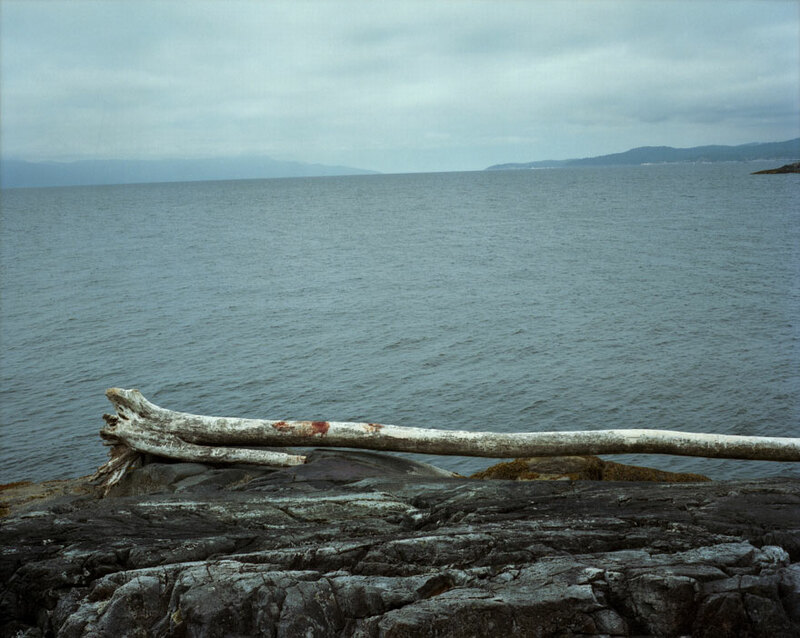 Her photographs often invite a slowed-down viewing of an idyllic space, whether indoor or outdoor. The artist is especially interested in sites that make one aware of time, such as unpopulated graffiti-covered canals that simultaneously reference the past and suggest a science-fiction version of the future. 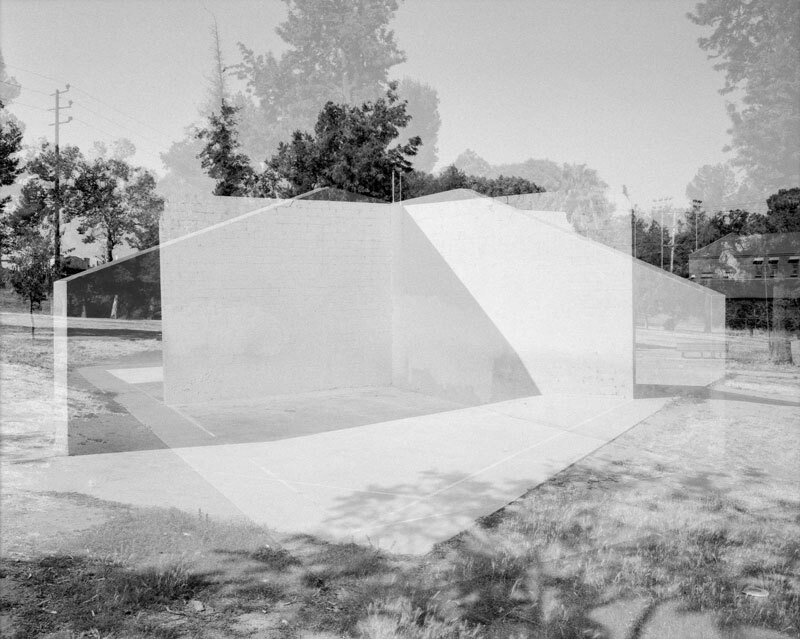 For example, in Handball Double (2012), multiple exposures of a black and white image of a concrete handball court wreak havoc on our architectural understanding of a space. In Hellroom (2009), layers of graffiti in an abandoned concrete drainage canal form a vibrant palimpsest that implicates each of the lives that have traversed this hallmark of urban infrastructure. Schiff engages a dialogue about painting and mark making, exploring how people signify their presence and claim their own bit of territory. Schiff’s work was featured in the 2008 Whitney Biennial, and has also been exhibited at MoMA PS1, Long Island City, NY; Museum of Contemporary Art, Chicago; The Print Center, Philadelphia; Seattle Museum of Art; Indianapolis Museum of Art; Smart Museum of Art, Chicago; and Museum of Contemporary Art, North Miami. Her work is included in the collections of Museum of Contemporary Art, Chicago; Dallas Museum of Art, Dallas; and the Kemper Museum of Contemporary Art, Kansas City. She has received a Chinati Foundation artist residency and an Artadia Award grant. Schiff received her BFA from New York University (1999), and her MFA from University of Illinois-Chicago (2002). She lives and works in Los Angeles. Schiff is represented by Kavi Gupta, CHICAGO | BERLIN. A publication will be available, with an essay by Shamim Momin, a poem by Kristen VanDeventer, and an interview with the artist by exhibition curator Kendra Paitz. The exhibition Melanie Schiff: The stars are not wanted now, is curated by Kendra Paitz, Curator of Exhibitions at University Galleries of Illinois State University and organized by University Galleries of Illinois State University. It is coordinated at CAM Raleigh by Kate Thompson Shafer, interim director and Jeff Bell, lead preparator. CAM Raleigh is a collaboration between the Contemporary Art Foundation, the community and North Carolina State University’s (NC State) College of Design. The exhibition and publication have been made possible by a grant from The Andy Warhol Foundation for the Visual Arts. CAM Raleigh is funded in part by the City of Raleigh based on recommendations of the Raleigh Arts Commission. The opening reception for Melanie Schiff is in conjunction with CAM Raleigh’s May Third Friday program that includes after-hours access to the galleries and a suggested donation bar. The reception is free with museum admission. Free for Members.